Have you received a Resort Entry Reminder Notice? Mount Hotham Resort Management uses Resort Entry Reminder Notices when there is no record of a vehicle having a resort entry permit. Reminders are used when it is a first offence, whereas infringement notices are issued on subsequent occasions. If you have a reminder notice please purchase Resort Entry prior to 3.00pm via Alpine Easy Access or at one of our Alpine Easy Access self-purchase iPad terminals located at the Resort Management Office, Hotham Central, Hoys, Hotham Sports and Arlberg Reception. 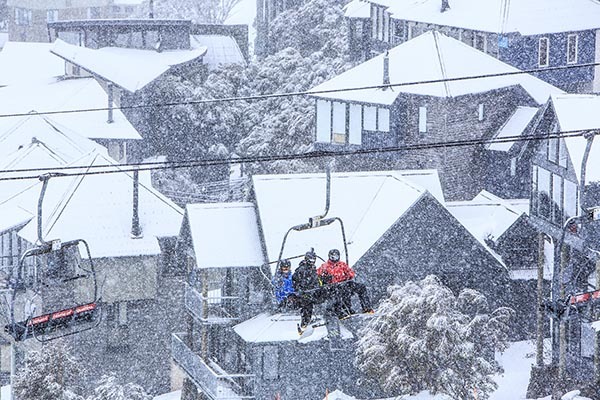 If it is after 3.00pm, please call or visit the Mount Hotham Resort Management office. If you do not pay your resort entry, you will receive an infringement. Please ensure your vehicle registration and the dates on the permit are correct. 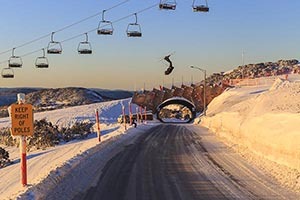 If you notice you have entered or given an incorrect vehicle registration when purchasing your resort entry permit, you must contact Resort Management immediately as your vehicle does not have a valid Resort Entry Permit and therefore is not permitted to stop within the Mount Hotham Alpine Resort. Please contact our Administration Office on 03 5759 3550 to have your permit re-issued with the correct vehicle registration prior to departure from Mount Hotham. If you do not notify us, you will receive an infringement notice as your vehicle will not have a valid Resort Entry Permit, and an administration fee of $25.00 may apply to vehicle registration changes. For more information, go to the Infringement page. Have You Received An Infringement? 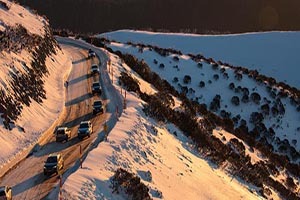 Parking and traffic restrictions are necessary for efficient management and to meet operational needs throughout the Mount Hotham Alpine Resort. The Mount Hotham Resort Management Board is authorised under the Road Safety Act 1986 to prosecute for any offence against the Act and the regulations. The Infringements Act 2006 and the Fines Reform Act 2014 set the standard framework for how fines are issued and enforced. 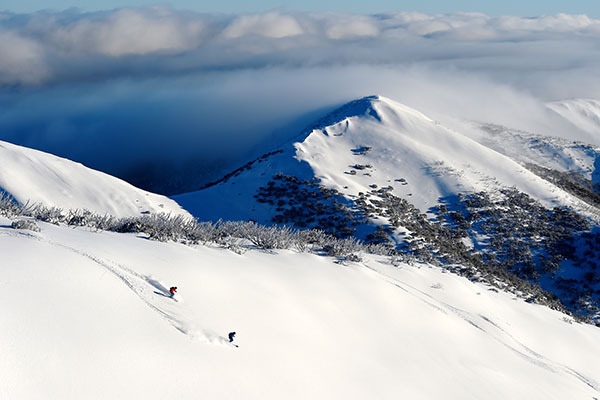 The entire Mount Hotham Alpine Resort is a permit area. Vehicles which stop within the resort boundaries in any location (no matter how short the duration) commits a parking offence, unless the vehicle has a valid resort entry permit. This includes momentary drop-offs and pick-ups. You may receive an infringement notice if the vehicle stopped or parked contrary to resort entry permit area or other resort signs. Failure to pay an infringement notice or to take any other action within 21 days may result in further enforcement action and the incurring of further costs. If an infringement notice remains unpaid, a warrant may eventually be issued and your property may be seized and sold to satisfy the amount owing. Parking and traffic laws apply to ensure the safe and fair use of Victoria’s roads. 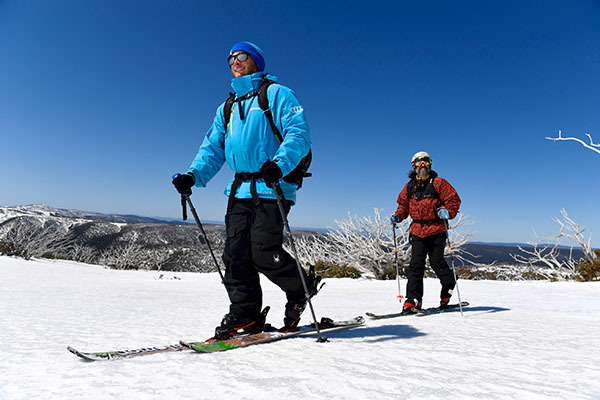 Specific parking restrictions and the Mount Hotham Alpine Resort entry permit system help make parking available for permanent residents, visitors, commercial operations and staff. What to do if you receive an infringement notice? You will need your infringement number to make a payment. Please note online payments may not be available until 3 days after the infringement was issued. Please note it is important to write the infringement number and vehicle registration clearly on the back of the cheque. You can make a payment in person at the Administration desk at the Mount Hotham Resort Management office, in the transit lounge building, between 8am and 5pm, open 7 days during winter. Cash, EFTPOS, Visa or Mastercard Only. You can make a payment to our office over the phone by contacting us on 03 9058 6656. Note: direct deposit details available on request. If you believe there is a satisfactory reason for you not to pay the infringement notice, you may apply for an internal review. 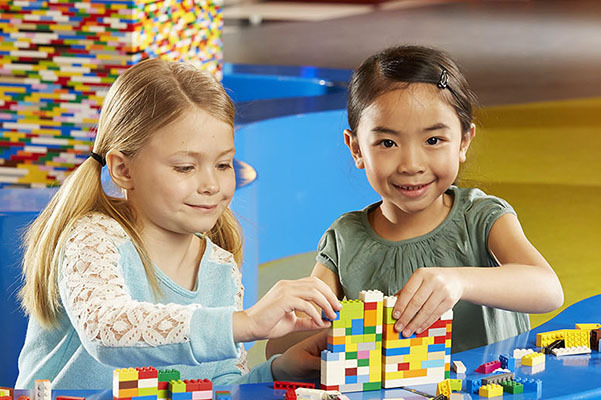 Requests must be in writing and include the address of the applicant. 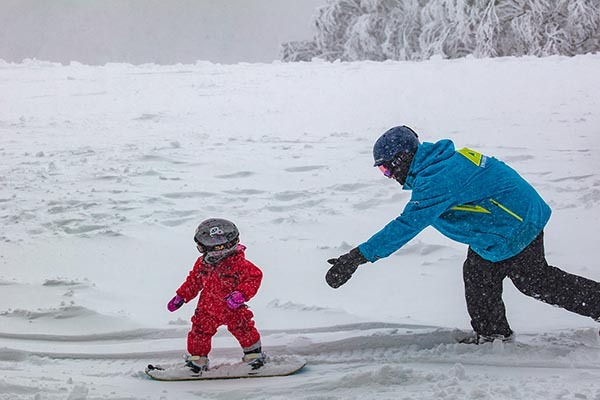 You can submit a completed Request for Internal Review form or send a letter to Mount Hotham Resort Management requesting an infringement notice to be internally reviewed. In accordance with the Infringement Act 2006, only one review application can be accepted in relation to any one infringement offence. Please use address details provided below. Once an application for internal review is received, the infringement is placed on hold and will not incur any further costs until after the applicant is advised of the outcome of the review. Even if the due date on the original infringement notice passes, the infringement will not escalate as it is under review. The review process can take 28 days or longer. The applicant will be notified of the decision in writing, advising whether the infringement notice has been withdrawn or if the matter will proceed. Failure to pay or provide requested additional information could result in further costs. Not the driver of the vehicle infringed? 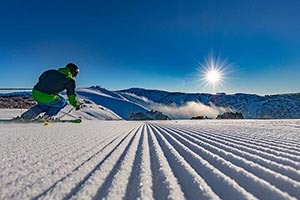 If the owner of the vehicle that received a parking infringement from Mount Hotham Resort Management was not driving the vehicle at the time the infringement was issued, then the owner may complete a Known User Statement to nominate the person in charge of the vehicle at the time the infringement was issued. You can choose to have your matter dealt with in the Magistrates’ Court by notifying Mount Hotham Resort Management with an Application To Go To Court form. Mount Hotham Resort Management takes steps to ensure the payment of overdue parking infringement notices. At each stage, you have the chance to pay the infringement notice, including any added statutory costs. You also have the opportunity to contest the fine, if you believe there is a good reason for you not to pay the infringement notice. If you receive an Infringement Notice, you’ll have 21 days to deal with your fine. You can choose to pay it, or deal with it in another way. · the fine due date. 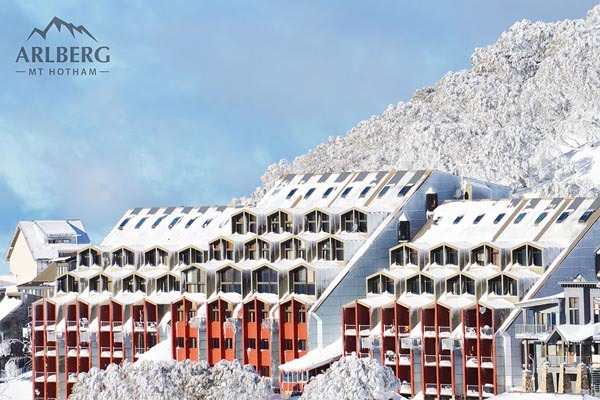 If you ignore your Infringement Notice and Penalty Reminder Notice and the due date for payment has passed, Mount Hotham Resort Management will register the matter with the Director, Fines Victoria. The Director will then send you a Notice of Final Demand and $130.20* will be added to your fine. A Notice of Final Demand is a written document to enforce an unpaid fine with added costs. You must comply with a notice within 21 days. If you don’t act by the due date on your Notice of Final Demand, an Enforcement Warrant may be issued against you. 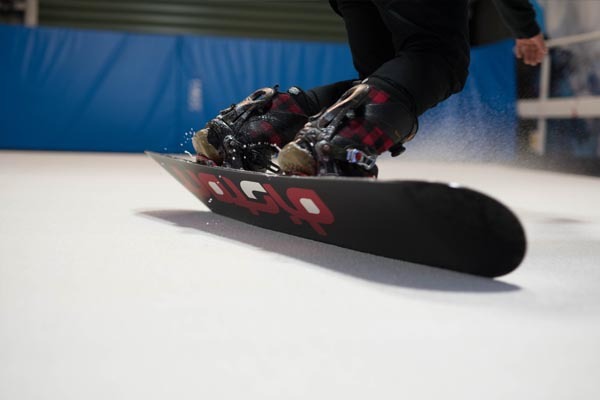 At this stage the infringement is no longer the issue of Mount Hotham Resort Management and if you have any enquiries you must contact Fines Victoria on 1300 369 819. If you don’t pay your fine and you ignore all reminders, the Magistrates Court may issue an enforcement warrant against you and $56.90* will be added to your fine. If you don't pay your fine in full when asked to by a Sheriff's Officer, they'll issue you with a 7 Day Notice. If you don't deal with your fine, the Director may also direct VicRoads to suspend your licence or registration. You'll be notified in writing by VicRoads when this has happened. Note: It's a serious offence to drive with a suspended licence or unregistered vehicle. · help you resolve your fines by offering the information you may need (e.g. through this website, the call centre and over the counter). For details on the fines system in Victoria, refer to the fines lifecycle. Who is responsible for paying the Resort Entry infringement notice? You are responsible for the Resort Entry infringement notice if you are the registered owner of the vehicle or the driver of the vehicle at the time the infringement was issued. How much are the parking infringements? Fines are set by the Victorian Government, and automatically indexed each year. Do parking infringement notices lead to loss of demerit points? Generally, parking infringement notices do not result in the loss of demerit points from your driver licence. However, if you do not pay your infringement notice and you have exhausted all payment stages, the Sheriff may opt to suspend your licence or registration, block any transfer of ownership, or stop renewal of a vehicle registration in accordance with the Infringements Act 2006.
Who can issue parking infringement notices? Mount Hotham Resort management authorised Parking Enforcement Officers and the Police can issue infringements. If I incur an infringement, where will the ticket be? Infringements can be placed on your vehicle or be posted to you. What type of infringement do I receive if I have not purchased a Resort Entry Permit? If you stop within the Resort without paying Resort Entry you will receive an infringement for ‘Stopping in a No Stopping Area’ as you are not permitted to stop in the Resort without a valid Entry Permit. I have a private car park allocated to me by an accommodation provider. Can I incur an infringement? Reserved car parks allocated as part of your accommodation package do not include resort entry. If you have not purchased a Resort Entry you will incur an infringement. You must purchase Resort entry before you are permitted to stop anywhere within the Resort. Can you get a parking infringement notice on leased land? 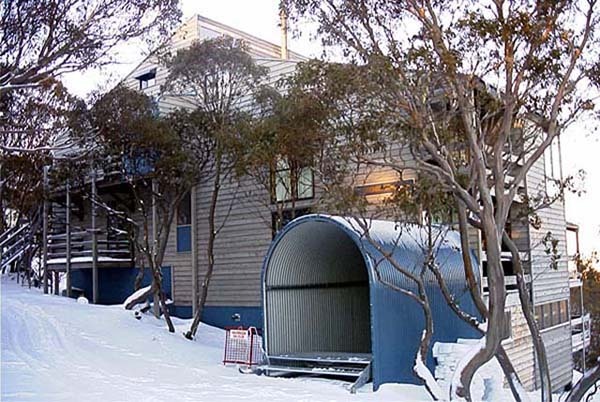 Mount Hotham Resort Management Parking Officers can issue an infringement notice on all land within the Mount Hotham Alpine Resort, including all leasehold and freehold land sites. What power does the Mount Hotham Resort Management Board have to move cars? An Authorised Officer or member of the force may, in an Alpine Resort, remove or cause to be removed by means of lifting and carrying, or towing a vehicle, if satisfied on reasonable grounds that the vehicle has been parked or left standing in contravention of regulation 12 of the Alpine Resorts (Management) Regulations 2009. To discuss a reminder notice, please find the contact details below. To discuss an infringement, please find the contact details below.